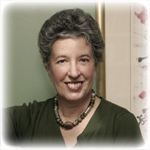 The Power of Two curriculum was written by psychologist Susan Heitler, PhD. Throughout her more than 30 years of clinical private practice as a family therapist Dr. Heitler has paid close attention to the relationship and communication skills that distinguish smoothly loving couples from those who struggle. Dr. Heitler is a graduate of Harvard with a masters degree in education from Boston University and a doctorate in clinical psychology from New York University. She and her husband have been happily married for nearly 40 years and have enjoyed raising four children, now with children of their own. Dr. Heitler has lectured on her therapy methods both nationally and internationally, including speaking engagements in Spain, Austria, Lebanon, United Arab Emirates, Israel and Australia. For more information, see Dr. Heitler’s website at http://www.therapyhelp.com/bio.htm. The Power of Two curriculum is based on the fundamental belief that with the right skills almost every conflict in a relationship can have a win-win solution. Hard to believe? We know it’s true because we live it every day. People often say that fighting and compromise are inevitable in intimate relationships. At Power of Two we set the bar higher. We teach the skills to help you avoid fights and eliminate compromise with effective communication skills and win-win solutions for your disagreements. Consider this — many couples who complete our workshops actually find themselves enjoying talking through their old difficult issues. How? They have learned to transform conflict into an opportunity to express their love, intimacy and respect for each other.